Metal Hammer, the popular music magazine, has teamed up with TeamRock to create a music adventure mobile game. Created by Metal Hammer and TeamRock, with music from Nuclear Blast, Metal Hammer: Roadkill is the action game metalheads around the world have always wanted. Your task is to slay the beasts with your mighty hammer along to the rhythm of some of the biggest heavy metal bands on Earth including Sabaton, Immortal, Suicide Silence, Exodus and Epica! There are thirteen bands in total to bludgeon your enemies to, so you better start exercising those thumbs! 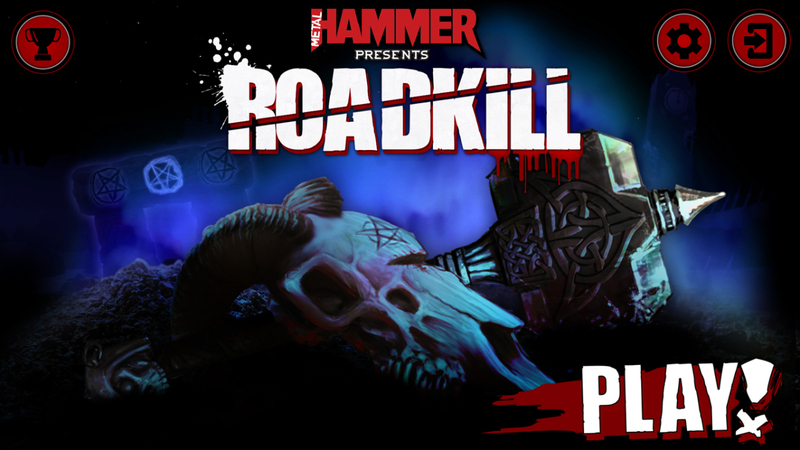 Metal Hammer: Roadkill hits the Apple App Store on 15th October with an Android version to follow shortly. This entry was posted in 2, Developer, game, games, Games Developer, mobile, train, train 2 game, Train2Game, www.train2game-news.co.uk and tagged 2, developer, Epica, Exodus, game, Games Developer, games industry, Immortal, Metal Hammer, Roadkill, Sabaton, Suicide Silence, TeamRock, train, Train2Game by Train2Game Blogger Team. Bookmark the permalink.